For over 230 years Lodge Brothers have encountered nearly every situation, serving families in their time of need, as a family-owned local funeral director. This year, to mark 10years in Woking some staff have decided to take part in a 10K Charity Run. Our strapline being ‘10K for 10Years’. Claire Stanners and Susan Areington are running in the event as part of the ‘Lodge Brothers’ team. There are others that are showing an interest and more volunteers are needed. 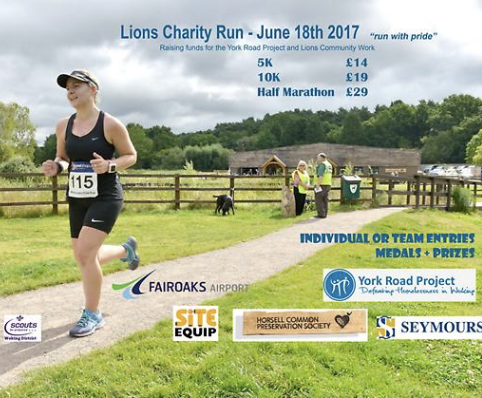 Woking Lions are organising the Charity Run on Horsell Common, Woking on Sunday 18th June 2017. This is an off road event running through beautiful woodland and open fields starting at Fairoaks Airport at 10 am. All proceeds will go to good causes including The York Road Project, Scouts and Woking Lions Community Work. If anyone would like to volunteer please contact Susan at Woking branch for more information.